According to Vedic Astrology, Rahu is a shadowy Planet and its effects are equated with that of Shani by Vedic Astrologers. 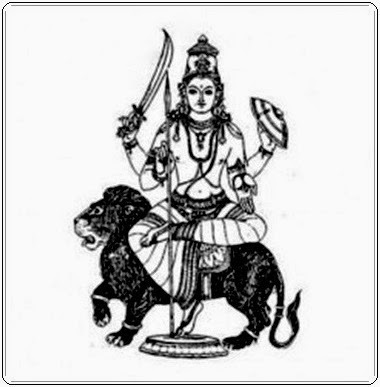 Though not a Planet Rahu is counted as one of the navagrahas. Rahu is normally depicted as a dragon head with no body riding a chariot drawn by eight black horses. When the Rahu is afflicted one faces several miseries and obstacles in the way of success and remedies should be done to reduce the ill effects by chanting the planetary mantras, wearing gemstones etc. "Ardakayam mahaviryam chandraditya vimardanam singhika garba sambootam tam rahum pranamamyaham." Meaning : I offer my obeisance’s to Rahu who was born from the womb of Singhika and who has only half a body yet possess great power, being able to subdue the Sun and the Moon. "Aum rang rahave namah aum"
"Om dhum ram rahave namah"